Filing personal injury claims can be a daunting task for the layperson. Add to it questions to be answered and forms to be submitted to the law enforcement agencies, insurance companies, and hospitals, and you have work on your hand for which you may have neither the time nor the aptitude. This is where an experienced personal injury lawyer can be of immense help. Such expertise can be the difference between having your personal injury claims reimbursed and not having satisfactory closure to the case. Legal counsel by attorneys experienced in handling personal injury cases is beneficial in many ways. Let us take a detailed look at the aspects lawyers can help you with. The approach to a personal injury case will vary with the type of personal injury – assault, car accidents, alcohol-related cases, sports injuries, etc. A lawyer knows the kind of evidence that needs to be presented; this is a time-sensitive issue. Evidence at the scene of an accident can be altered or tampered with. Lawyers will help you get an independent appraisal of the damage suffered by your property, vehicle, etc as well a second opinion on the extent and nature of your injuries. As mentioned above, time is of essence in personal injury cases. You have to present as watertight a case as you can while keeping statute of limitations in mind. Your lawyer knows how to prioritize things. The legal firm representing you will have your interests in mind. The insurance company has its business interests to consider. Lawyers are well equipped to negotiate with insurance companies; they know the state’s laws and rules that govern such procedures. They also know their way around red tape. Your lawyer will have a better understanding of the extent of damage caused by the event, and the damages that you can claim. This means the difference between a paltry settlement and getting proper compensation for the physical and mental damage caused. Upon understanding the case from you, your lawyer can advise you if it is worth your while to pursue litigation or accept what the insurance company may offer after you have raised a claim. Conversely, if the lawyer is convinced that you have a strong case, then he will pursue litigation so that you are paid what is rightfully yours. Apart from denial of liability and low re-compensation, there is another obstacle that you may have to face – denial of coverage. Knowledge of law is a crucial factor in deciding such matters. Sovereign Immunity laws protect government bodies and entities from personal injury claims. Such claims can be hard to press home even when you have a strong case. An experienced lawyer; however, can negotiate for a settlement that you deserve. And when you talk about hiring an experienced personal injury lawyer, you should look for an attorney experienced in helping plaintiffs. A law firm that is more into handling cases of defendants may not be the right choice for you. 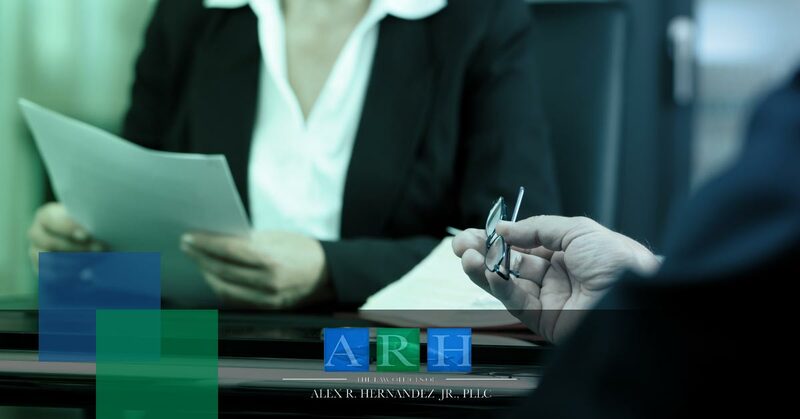 Call the Law Offices of Alex R. Hernandez Jr. PLLC for experienced representation.